Trainwreck to Narnia from dylan bergeson on Vimeo. 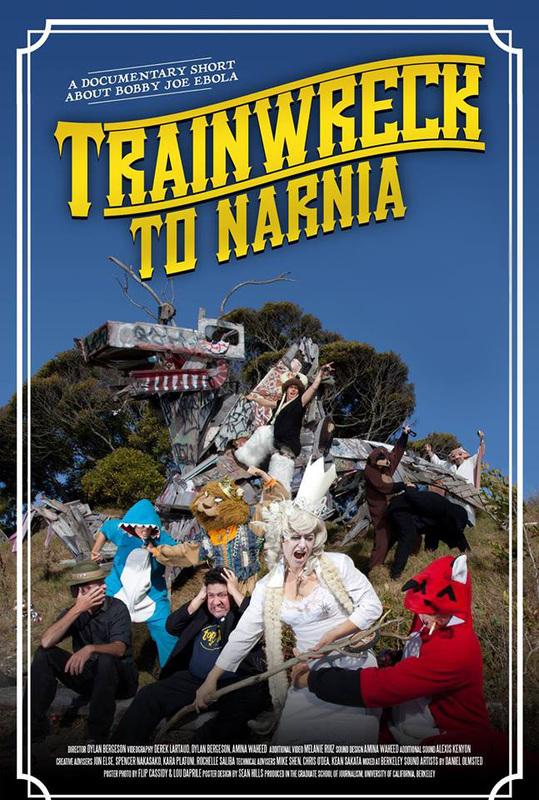 "Trainwreck to Narnia” is an impressionistic look at life on the road with a comedy band in pursuit of an elusive dream. Bobby Joe Ebola and the Children MacNuggits are the hardest working band you've never heard of. The punk-comedy duo formed in a strip mall-infested Bay Area suburb that spawned the likes of Primus, Metallica and Green Day, making it the per capita leader of two modern American hallmarks: fast food and rock n' roll. Then the '90s happened. As Seattle churned out grunge music, California loosed a marketable version of punk that set record labels on the prowl. Band founders Dan and Corbett watched as many of their peers exploded into mass popularity. Bobby Joe Ebola—which built a cult underground following around the ability to satirize horrible things—was overlooked. Almost two decades later, the stakes are higher than ever. Even as their music inspires a new generation of fans, the expense and emotional wear of keeping a dream alive take a heavy toll. "Trainwreck to Narnia" blurs the lines between the stage and daily life, crafting scenes of magical realism where nothing is ever quite as it seems. Along the way, the duo meets strange characters, crashes on anyone's floor who will let them, and inspires at least one regular at a small-town dive bar to suddenly realize the meaning of life. For more information about Bobby Joe Ebola and the Children MacNuggits click here.